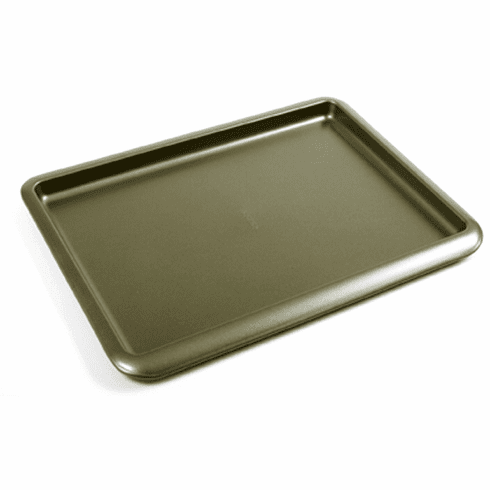 Bake cookies, pastries, biscuits and rolls, pizza, tater tots and fries, or use to reheat hot sandwiches. Full sides all around allows you to maker jelly rolls, fudge and brownies. Made of industrial grade nonstick materials. Uniform baking prevents "hot spots" and burning. Uniquely designed wide lip edge is ideal for ease in handling. Measures, 17"/43cm long by 11"/28cm wide by .75/2cm deep. Hand washing recommended.